Years before the first Archivist of the United States was appointed — before the National Archives and Records Administration even existed — architect John Russell Pope and his team were busy drawing up plans for the National Archives Building in Washington, DC. 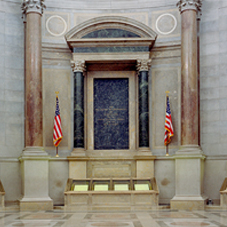 Since its opening in 1935, this magnificent neoclassical revival building on Pennsylvania Ave, halfway between the White House and the U.S. Capitol, has drawn researchers and visitors from around the globe who have come to research their own family histories and to explore the most important records of our democracy. Today, researchers enter the building on Pennsylvania Avenue, while other visitors enter on Constitution Avenue to explore exhibits and programs at the National Archives Museum. Research Center Hours: Monday-Friday, 8:45 a.m. — 5:45 p.m.
Click here for more information on getting to the National Archives Building in DC and parking. 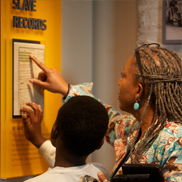 “Records of Rights” in the David M. Rubenstein Gallery incorporates stories of many individuals, including African-Americans, women, and immigrants, whose struggle for rights in the decades following the Declaration of Independence is documented in records at the National Archives. The National Archives Museum’s Lawrence F. O’Brien Gallery is home to temporary exhibitions that draw from the billions of records in the National Archives’ holdings nationwide, allowing visitors to explore such topics as the government’s effect on food, photography from the 1970s, the Civil War, and the inside story of the Cuban Missile Crisis. The 290-seat William G. McGowan Theater is located on the lower level of the National Archives Building in Washington, DC. 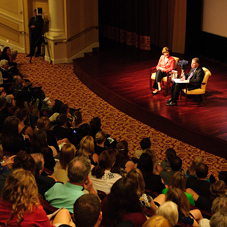 The theater hosts lectures, films, book talks, and more. 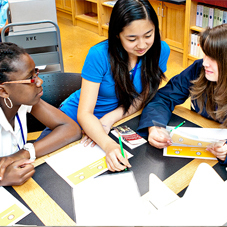 The Boeing Learning Center is located on the upper floor of the National Archives Museum. 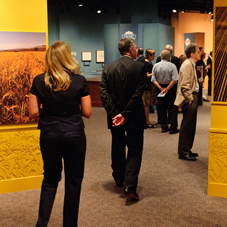 Inside, visitors can explore many family-friendly activities for all ages. 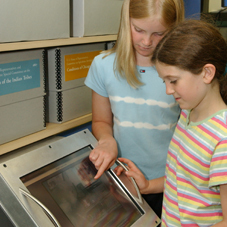 In the activity space, there are hands-on projects, document facsimiles, and many online resources, as well as knowledgeable Archives staff and volunteers ready to answer any questions. The National Archives Store on the entrance level of the National Archives Museum in Washington, DC, is operated by the National Archives Foundation. 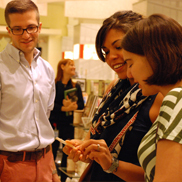 Purchases support National Archives exhibits, programs, and educational initiatives.